Bull has some new company. According to The Hollywood Reporter, MacKenzie Meehan will recur on season three of the CBS TV show. 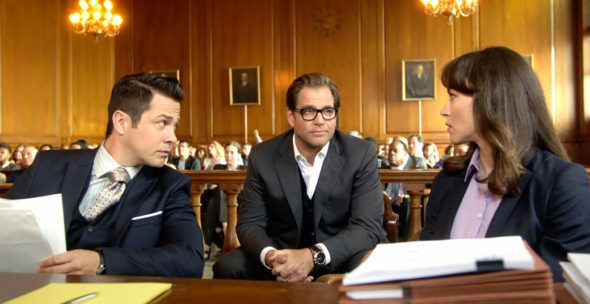 The legal drama centers on the brash and charming Doctor Jason Bull (Michael Weatherly), who combines psychology, human intuition, and high-tech data to learn what makes jurors, attorneys, witnesses and the accused tick. The cast also includes Freddy Rodriguez, Geneva Carr, and Jaime Lee Kirchner. On Bull, Meehan will be playing Taylor, a new addition to the Trial Analysis Corporation team who is an expert in coding and hacking. Season three premieres on CBS on September 24th at 10 p.m. ET/PT. What do you think? Do you watch Bull? Are you excited for the new season? I do watch “Bull” and enjoy the show. I enjoyed his character on NCIS also and that’s the reason I started watching “Bull”. I like the acting and will continue to watch as I’m anxious for the new season to start. It’s our favorite show. Can’t wait for it to start again. I really like “Bull” and looking forward to it starting again! love “BULL” i did not think i would like it, but, the more i watched Michael weatherly and his team, i love the show now!! I think BULL is a fantastic show.One of the best on TV. Am looking forward to the new season to start. I think BULL is a fantastic show – one of the best on TV. I am definitely looking for the new season to start. So excited for the next season of Bull! Can’t wait for Bull to start up again in September. I just love this show.